For further information, please contact us in secretariat of HMJ BSI FBS UNIMED, Building 70, 1st Floor, Room 06 at FBS UNIMED. 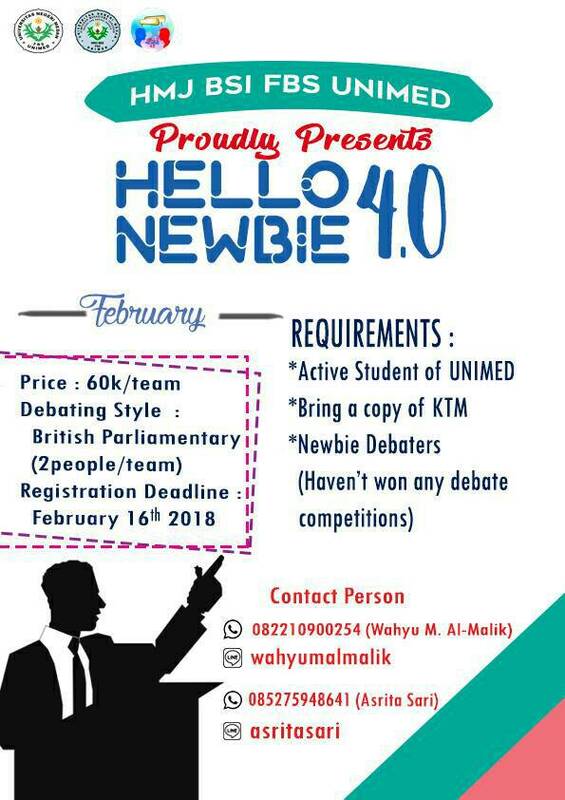 Don't forget to register yourself and show your debating skill. See you debaters!